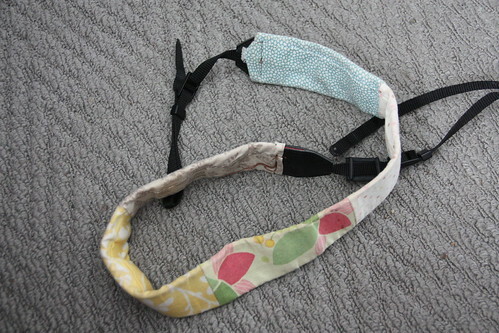 So I've been giving my sewing machine a workout this past two weeks. I bought fabric from IKEA when I was in Ottawa with a project or two in mind and I managed to cross one of those projects off my list this week-new pillows. 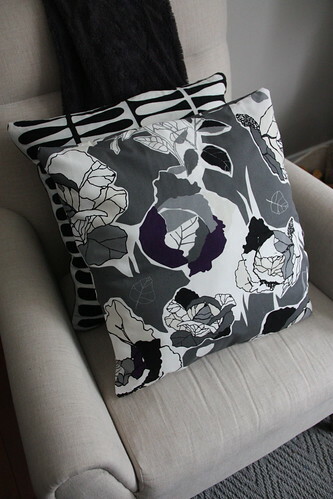 I had a few inserts lying around so I bought this black, white, cream & eggplant fabric to match our living room decor and made a few pillow cases. 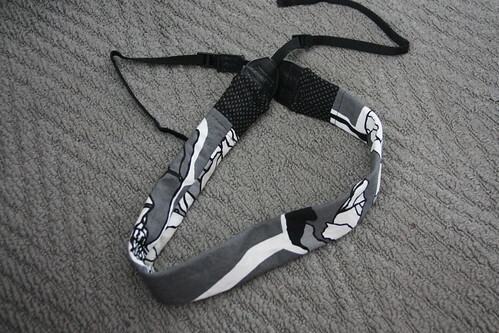 While I was at it I changed my camera strap because the fabric strap I had made was old and tired. 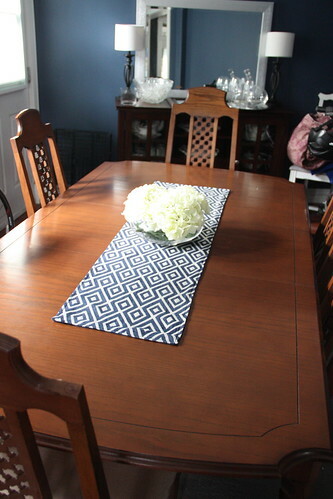 Then I decided that the dining room table needed a new table runner. You may be experiencing a little deja vu because I've used this fabric before. It's remnants from my reupholstered bench project. 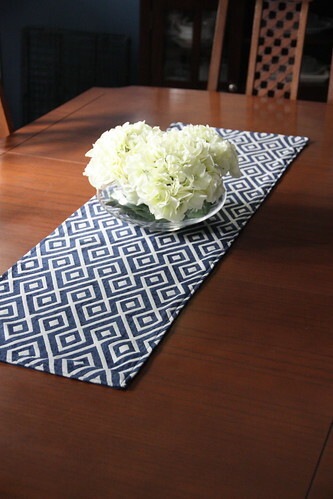 So I made a simple runner with the blue printed fabric on one side and a plain cotton, navy piece on the other. Just a few little projects I've crossed off my list so far!